The Alpha Series Camshafts for the VR38 are simply the best all-around solution for anyone with an upgraded turbo. 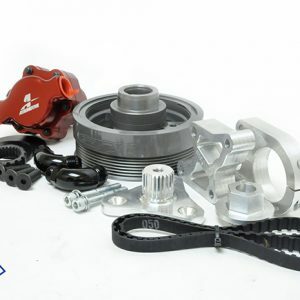 After extensive testing, AMS offers a cam design that gives you the best of both worlds; massive power gains spread across a wide power band while maintaining excellent street manners and improved turbo response over the competition. 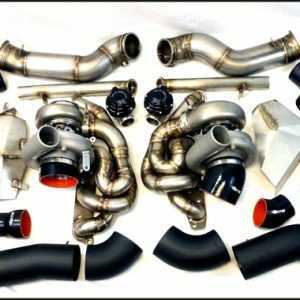 When we set out to create the perfect cam profile for this specific application we focused on more than just peak horsepower numbers. 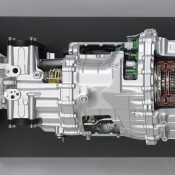 We concentrated our attention on making the most useable power throughout the rev-range without sacrificing driveability that so often plagues cars with large turbos and camshafts. What we ended up with exceeded even our expectations; we found the perfect balance of lift and duration to bring you the best cam choice on the market! The AMS Alpha cams provide you with massive peak and low end power with great spool up characteristics. The perfect combo making your GT-R an unbeatable machine! 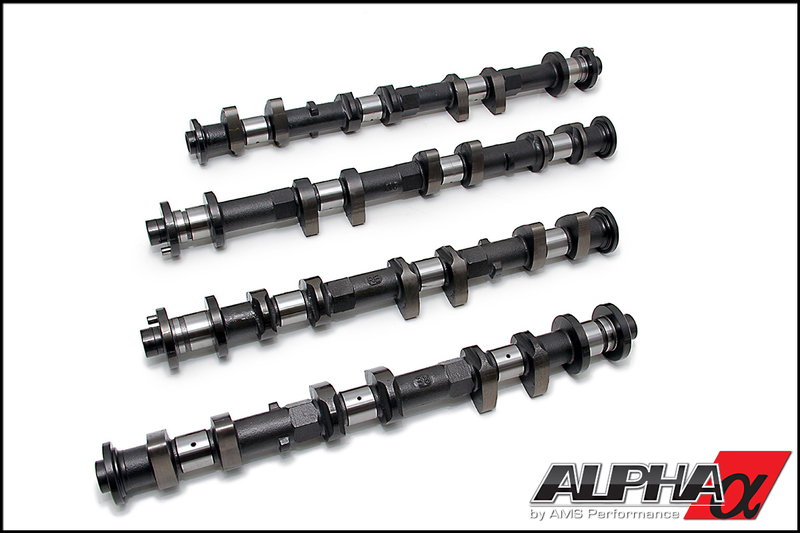 The Alpha Camshafts are designed for any Nissan GT-R with upgraded turbos, be it bolt-on or full turbo kit. 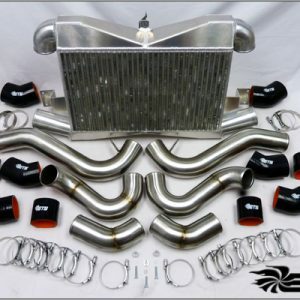 Power gains can be anywhere from 30-100 horsepower depending on turbo selection and boost levels. Whether you’re driving on the street or track, you can expect excellent response and power throughout the entire rev range! Available exclusively through AMS and its dealer network, the Alpha Series Camshafts offer you optimized performance unmatched by anything on the market! 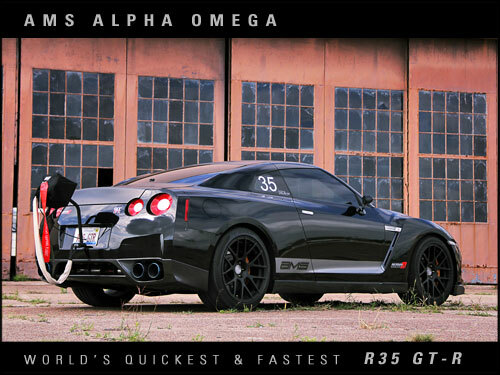 The Alpha Camshafts powered our 1500HP Alpha Omega GT-R on its record-setting 8.62 @ 173.8mph quarter mile pass and its Standing Mile Record of 233mph! Do it right the first time, order your Alpha GT-R Camshafts today! Upgraded valve springs and retainers are required to run these camshafts.